Our Medelita conference team is just returning from the California Dental Association convention, The Art and Science of Dentistry, in Anaheim. Our only local conference of the year (as we are based in San Clemente, CA) The CDA Presents event was only a short car ride away. This week we are still basking in the excitement – lots of repeat customers, many vocal previous customers coming back to the booth to thank us (as well as to entice others with their animated testimonials) and just an overall vibe that dentists, dental surgeons and hygienists are becoming familiar with our new brand, Medelita. 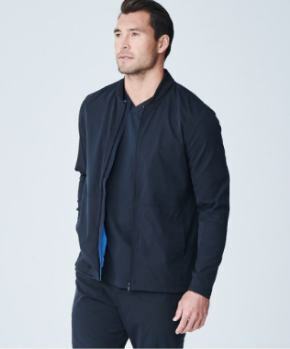 “Are you the ones with the cuffed sleeves and fluid resistant fabric?” so many would say. Yep – that’s us! 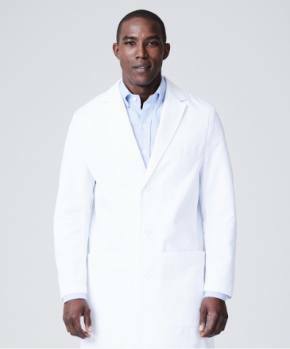 Our dental lab coats being the newest in our lab coat lineup, this is all very rewarding to our small team, to realize that we are growing and the people are hearing about us. Specifically, what makes our lab coats so unique and profession specific. So what did they buy? Elsie G. and Fauchard dental coats went flying. These new 100% cotton dental coats are extremely well received by dentists and all dental professionals. 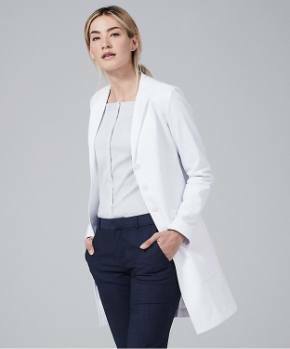 Women seem to truly love the sporty look of the Elsie G. lab coat with the preppy stand-up collar and snap closure. 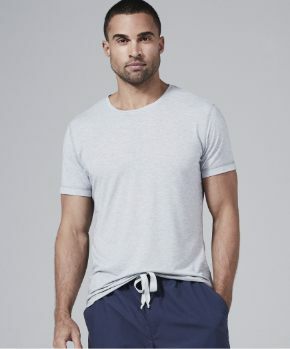 And the men commented that the Fauchard cuffed sleeves and optional snap closure to the neck are ideal features for their everyday positioning and professional presentation. Much to our surprise, no one seemed deterred by our lack of current inventory in both the Elsie G. and Lucy H.T. lab coats. It’s true – they have been so popular that we’ve had a hard time properly planning for inventory. A good and a bad problem, I suppose. But one that is definitely being corrected in the upcoming months, never to happen again. We are extremely grateful for the patience our customers/colleagues have displayed, as we experience these growing pains. Looking forward to CDA in Anaheim next year. 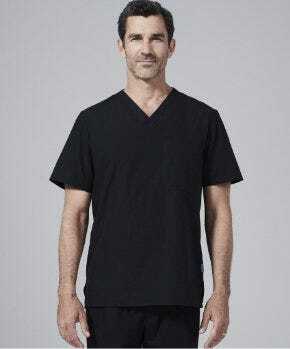 Likely to see new and (now) plenty of old faces next year . . . . with new styles and new scrub colors in hand.